Turn your half or full day adventure into a weekend with our camping options. 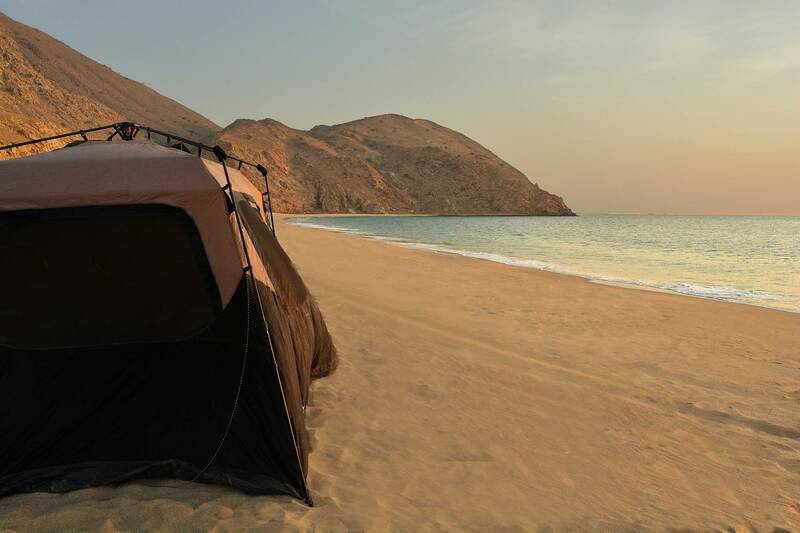 We provide a full camping set up to make sure you and your group are comfortable for a night on stunning Dibba beach. Our large tents and comfortable camp beds means that even camping novices will enjoy themselves. There are options with and without food. If you want to cater yourself, shoose the camping only option and we'll provide everything you need for a comfortable night! The with food option includes all of the materials and ingredients for a self cook BBQ and cold breakfast the next morning.